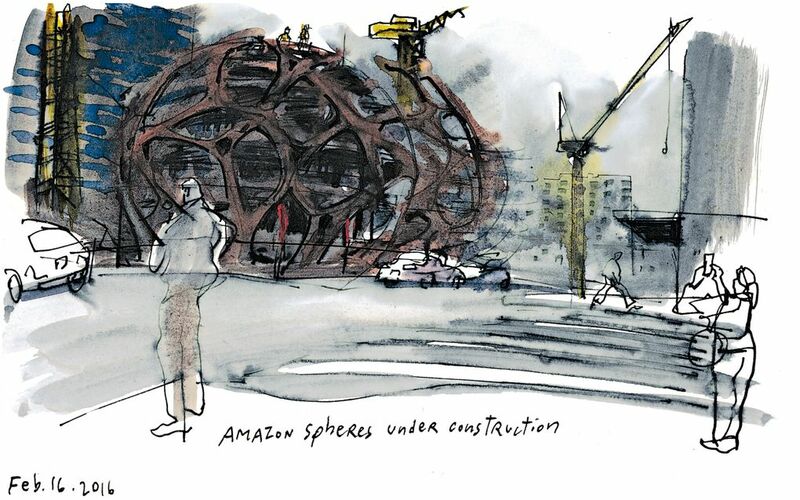 Construction of the new Amazon campus in the Denny Triangle is well under way. 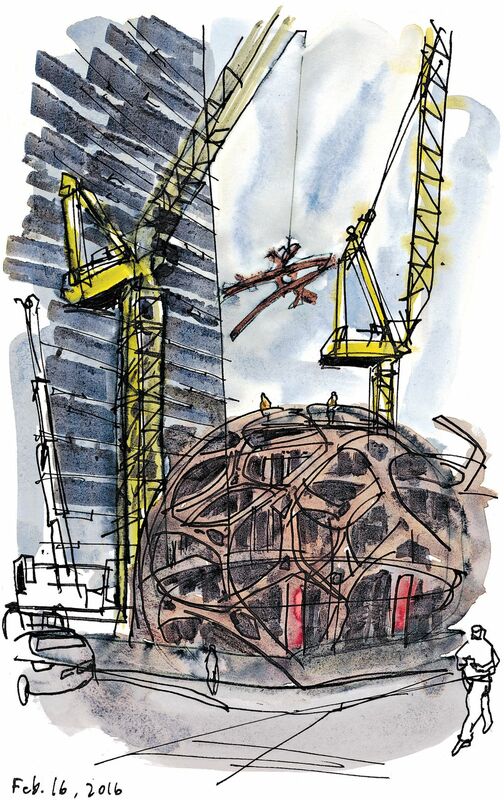 This week, I watched cranes lowering the steel pieces that frame its centerpiece: a trio of intersecting glass domes that will rise up to eight stories high. Compared with the bland design of Amazon’s offices in South Lake Union, these domes are a welcome exclamation point in our cityscape. Since the striking Seattle Central Library building opened in 2004, I can’t think of any other architectural wonders that have garnered as much attention. About the sketches: Noodler’s Ink and Daniel Smith watercolors on 5.5″ x 8.5″ Zeta Series mixed media Stillman & Birn sketchbook.